We have the most marvellous crew to help us with our work. Today I was out of the office for most of the day. Peter was also busy for most of the day. 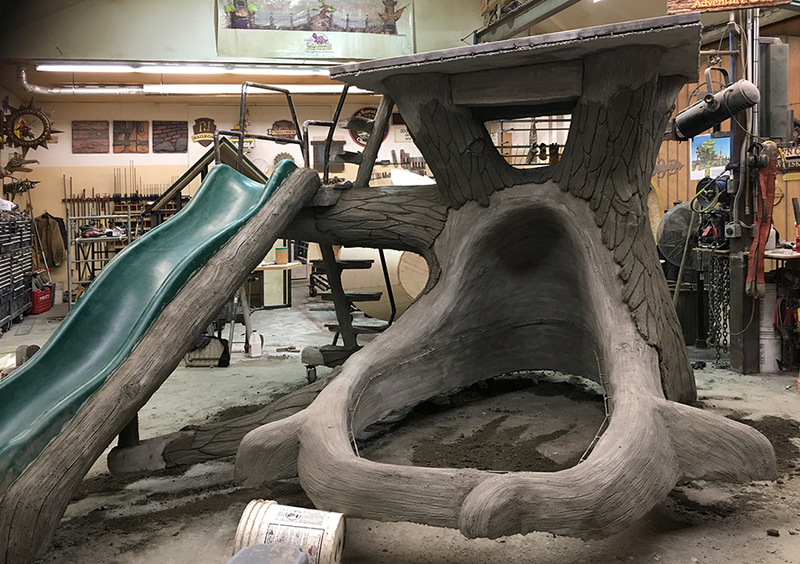 With only minimal art direction the crew was left to do the sculpting of the treehouse base. As per our expectations they did a FABULOUS JOB! I was most pleased when I went out to the shop late this evening to see how things had turned out. The treehouse looked wonderful!